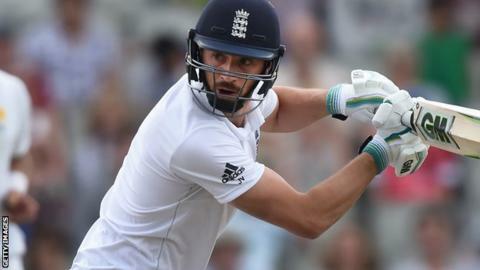 Ex-England captain Mike Gatting says James Vince should be given more time to adjust to international cricket. Vince, 25, has a batting average of 18.57 in seven innings for England and is yet to make a Test half-century. He hit just 18 as England beat Pakistan by 330 runs in the second Test, after managing 16 and 42 in the first Test. "Hopefully they will give him another couple of Test matches and he will show the quality that he has," Gatting told BBC Wiltshire. "You learn quickly, you've got to try and understand what your faults are and put them right. "Some people get into it straight away and some take a little longer just to realise what they have to do to change their game." Hampshire's Vince had a break-through season as vice-captain with his county in 2014 as they won Division Two of the County Championship. The former Warminster schoolboy made 1,525 Championship runs during that campaign, the highest in the division. "You can see over the past few years the selectors have been fairly patient with some of the players and they have normally given them a series to actually show what they can do," Gatting added. "Then after that, it's really down to the player themselves."